web promotion strategies and web site planning as this web site. take it to the top of the search engines. them with attractive, Search Engine Friendly Websites. traffic and ultimately sales on a daily basis. Its what makes us your #1 Choice for web design services in the world! Finding Your Target Niche Market on the internet and search engines. How we get the best of both worlds. 1. Before you begin a “friending” (i.e. request to become another’s friend), be sure that your profile is up-to-date with an accurate description of what you do, your interests, and your contact info, including your web site URLs. If you have multiple businesses, invite people in your target market to become fans of your niche-specific fan page. 2. Follow the gurus. Follow leaders in your field/industry and “friend” them. Anytime you make a friend request, include a personal note, as that will increase the likelihood that they will accept your request. Say something like, “I’m a big fan and have been on your ezine/blog list for several years. I’d love to have you in my network.” Once they have accepted your invitation, make comments about their status updates to help you get on their radar and in front of their networks. 4. User groups. Look for groups that may contain your target market. In your search for groups, use keywords that describe your niche, your industry, your geographic area, the interests of your target market, or whatever other terms you might use to find members of your target market. Join and begin to participate in the group so that they begin to get to know you. Then peruse the member lists for good prospects, sic as the members you’ve connected with or have gotten to know. Since you won’t be able to view the profiles of the group members because they aren’t in your network, much of your decision-making about whom to friend may be based upon appearance or how you might be connected to them via other friends in your network. 5. Check your own lists. Friend people that you already know from your high school, college, alumni associations, and places of employment if they fall within your target market definition. 6. friends typically recommend other friends based on your current friends list when you log into your profile. I’ve found these recommendations to be pretty solid. Take them up on their recommendation and add those folks to your network. 7. Add by interest or industry. Do a people search by job title, industry, geographic location, or interest. Those people with those terms in their profile will show up in your search, and you can request to add them based on common interests. 8. Build the relationship. Once you friend someone, you need to begin to get to know them and start them on the like, know and trust journey so that you become their top-of-mind expert in a particular area. Begin building the relationship by posting a quick “thank you” note on their wall, as well as a comment about something on their profile that interests you or in which you have in common. Watch for their status updates, as well, and comment on these when appropriate. 9. Create a social networking group. Once you’ve got about 500 followers, create a group for your target market. Provide the group with useful content and and ask questions to stimulate discussion and get the members to return to participate in the group. You can post articles, links to blog posts, or videos you have created. Invite group members to any free virtual or face-to-face events you’re hosting. 10. Integrate into your plan. No marketing strategy works unless you consistently implement it over time. As a newbie to social networking, you might want to spend as much as 60 minutes per day researching friends and participating in groups. 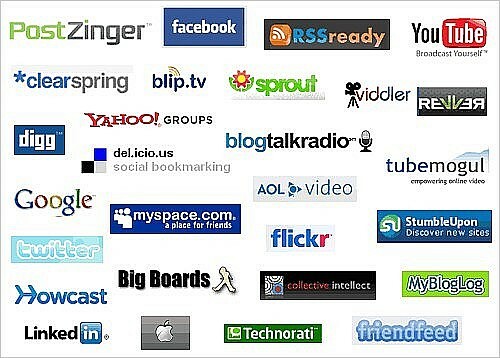 As your network grows, you many spend only 15 minutes 3 times per week on your social networks. The key to success is to put this strategy on your calendar and make it a routine part of your ongoing Internet marketing tasks. While social networking is an inexpensive marketing tool and can be effective in helping you grow your business, maintain your other marketing strategies, as well, and simply add this strategy to your marketing mix. A well-rounded Internet marketing plan that includes social networking and is implemented consistently will mean that your prospect well will never run dry. If you have anything to ad to this post …Please feel free to comment below.